Can Artificial Intelligence (AI) enhance Employee Engagement? How to Choose The Right Carrier? Why you need health Benefits ? HomeBlogBlogCan Artificial Intelligence (AI) enhance Employee Engagement? 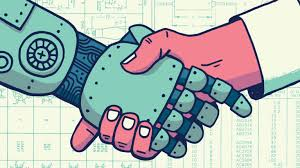 Notwithstanding where you stand on the AI (and other technologies like Machine Learning (ML) and Natural Language Processing (NLP)) debate, the truth is the technology is already here – in your workplace – and it holds tremendous promise for the future of Employee Engagement. Over the last few decades’ companies have realized the impact employee engagement has on business performance. Even though the advantages have been known for a while now, companies have struggled with the challenges of building a holistic engagement program which can be customized to fit the requirements of individuals. Engagement at work, when viewed holistically encompasses every aspect of the employees work life – role clarity, the correct fit with role requirements, learning and development, rewards and recognition, and even the employee’s health and wellness. Even in the past, companies have leveraged the evolution in technology to improve employee experience in each of these areas. Today g-SMAC (gamification, Social, Mobile, Analytics and Cloud Computing) has provided companies the ability to monitor, measure, manage, and predict parameters related to various employee engagement dimensions but even then there are limits of how much customization can be done. Companies today don’t look at employees as a singular homogenous group. 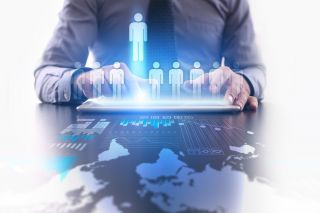 Formerly hobbled by limitations of human ability to collect and process vast amounts of data, technology today enables companies to look at various cohorts and fine tune their engagement strategies to an extent. New technologies like AI now hold the potential to take customization of employee engagement to a whole new level. Employee engagement can now be designed for a population of one – the individual employee! How AI can enhance Employee Engagement ? Customized Learning and Development: Each person has a different approach to learning. Some do well in classroom setting, while others like to learn in small groups or alone. Some like to see videos or listen to audio recordings while others like to read text. Today companies offer a few options to employees on how they can go through the required learning but even then it is largely static and limited in customization. AI can help design courses that adapt to the learning style and capability of the learner in real time thereby increasing the efficacy of the content and thus the eventual outcome of the training. Improve productivity through better access to information: As companies grow larger and diverse, people tend to spend inordinate amounts of time looking for the right documentation, the right people, the right data repositories. AI and NLP can help employees find the relevant information depending on the context Chatbots and other tools can help make communication and collaboration seamless (and fun). These technologies can even be used to gather communication patterns over a period of time to identify (and break down) information silos and gaps that need to be improved. Promote Equality and Fairness: Till now complex scenarios like grievance redressal and designing total rewards systems required a very high involvement of people owing to the ambiguity and fluidity of the situations involved. This situation is rapidly changing. Developments in NLP make it possible to recognize and correct for misspellings, slangs and acronyms used in a particular context. AI systems working with NLP can now be used to assist decision makers in these areas and in fact can help overcome human bias that might otherwise creep in. Run timely interventions based on predictive analytics: There are companies that use annual engagement surveys and then there are those that have pulse surveys. AI unlocks the power for companies to go beyond what the employee tells and know what the person is really thinking. With AI and ML companies today have the capability to analyze communication in real time for sentiment analysis. Technology to scan and analyze emails, photos and even videos to rate the emotional state of the employee is available right now. Companies can leverage these to rate employees on their engagement levels and run interventions to reduce attrition and churn. The above list is just a glimpse into the possibilities of AI can drive new levels of employee engagement at the workplace. But at the end of the day these are technologies – mere tools, although, advanced ones in the hands of the company leadership. And like any other tool, they can be used for improving engagement levels or for intruding into the privacy of the employee and create a big-brother culture. Lasers can be used for incredibly precise surgery or they can be used to burn and destroy. The outcome lies in the hands of the person wielding the tool.